Drug Law Center is actively involved in the litigation of hip replacement lawsuits involving various devices for clients across the country. Our attorneys know the devastation that may accompany complications related to a poorly designed or recalled hip implant device. While there may be similarities between artificial hip implants and the ensuing complications from individual components or an entire metal-on-metal hip system, our attorneys are always mindful of the impact on the individual. We recognize the responsibility we have to our clients who have truly had their lives forever changed due to a defective hip implant. From the time we are retained, we always attempt to make the claims and litigation process as smooth as possible for our clients. In addition to having a specific attorney assigned to your case who will provide you with regular case updates, we also have a support staff member dedicated to serving your needs and will work to gather all of your medical records, documentation and even help you locate a physician in your area who may have experience with your particular need. All of our hip implant lawsuits are exclusively handled on a contingency fee basis where a fee is earned only upon a successful resolution of the case for you. There are no out-of-pocket expenses to hire our firm or to consult with for an individualized case evaluation. 12% of Patients Need Revision Surgery – DePuy’s ASR hip replacement implants were first released in 2005. Between 2005 and 2008, more than 400 patients filed complaints with the FDA against DePuy. In 2010, DePuy’s parent company Johnson & Johnson released a statement acknowledging that roughly 12% of patients had to get revision surgery, a number far higher than the industry average. Continue reading about DePuy ASR Failure …. 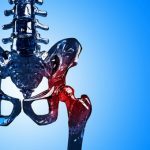 Severe Complications Associated With DePuy Pinnacle Hips – In addition to common problems with mobility, pain and swelling, patients that have received the hip implant also experience metallosis (metal toxicity). The effects of metal toxicity can quickly manifest outside the region of the hip. Continue reading about DePuy Pinnacle Lawsuits …. 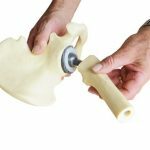 Issues Arising With Wright Profemur Hip – The hip replacement manufacturer, Wright Medical Technology, offers a variety of components in their Profemur Hip System. These products include various parts of hip replacement components such as the cup and femoral neck, stem and head. Continue reading about Wright Hip Lawsuits …. Biomet Hip Complications – Composed of cobalt and chromium, the Biomet Magnum device creates friction when both surfaces rub against each other when in movement. The device can quickly generate small metal fragments that easily shed from the product into the bloodstream and surrounding tissue. Often times, patients will experience specific symptoms associated with the hip replacement. Read on about Biomet Magnum Hip Complications …. Serious Medical Complications – The Zimmer Durom Cup device was implanted on approximately 12,000 patients in the two years it was marketed to the public. The product was designed to allow the stimulation of new natural bone growth to keep the cup firmly in place. Within months, many individuals started experiencing severe pain, requiring subsequent surgeries to replace or remove the component. Read more on the Zimmer Durom Cup complications …. Metal-on-metal hip replacement devices were introduced to the market as a superior alternative to traditional hip prosthetic devices that were typically comprised of multiple materials. Unfortunately, soon after metal-on-metal hip replacements were implanted, large percentages of patients developed pain and medical complications. 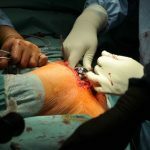 As opposed to the promise of a pain-free life and resumed activity, many patients with metal hip implants are now facing a life of complications and uncertainty. 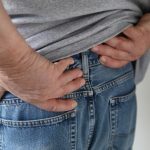 Patients with metal hips are now dealing with situations where they have complications such as: dislodged devices, metal poisoning, systemic problems, and limited mobility. For the impacted patients they will likely need to be medically monitored and/or endure a hip revision surgery to remove their devices. 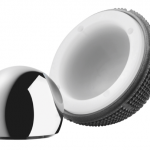 Various device manufacturers have many different models of metal hip replacements that have been on the market over the past decade. Drug Law Center appreciates your frustration and anger and is committed to protecting your legal rights related to a claim against the manufacturer. Our team is currently reviewing potential claims for people who have any type of metal-on-metal hip that is of concern to the individual. Please contact us at 888-424-5757 or complete our contact form below for further assistance.